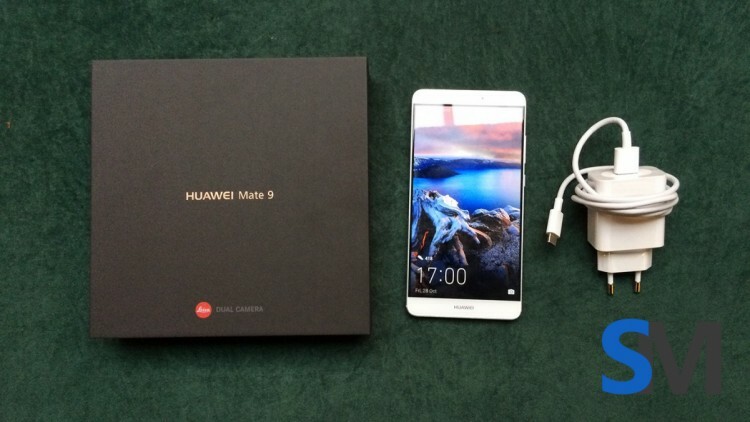 The Huawei Mate 9 is scheduled to be unveiled on November 3, but some images depicting the device already emerged on the web. These photos come from Steve Hemmerstoffer, also known as @stagueve in the Twitter community. Given the fact that the Twitter post was retweeted by @OnLeaks, it’s safe to assume that they are real. The images don’t reveal anything we didn’t know already. However, now we can take a good look at the upcoming smartphone, from every angle, and in high definition. The design of the handset is a quite pleasant one.Huawei’s Mate 9 doesn’t come with anything amazing design-wise. Even so, it is a clean design, with rounded edges and quite slim side bezels. The metallic rims offer a more high-end look to the thin smartphone. The handset doesn’t have any physical buttons, instead, it only features Huawei’s logo on the bottom part of the front cover. On the upper part of the device, we can see the front-facing camera and the speaker. Photos of the smartphone’s back confirm the LEICA dual camera setup rumors that surfaced in the last couple of weeks. On the back of the handset, we can also find the fingerprint sensor, and what seems to be a dual-tone flashlight. On the lower part of the handset, we can find a USB Type-C port, set between two speakers, while on the upper part of the smartphone there is an audio jack. Overall, the Huawei Mate 9 promises to be a good quality smartphone. It was already said that it has a Kirin 960 processor, and it includes 4 or 6GB of RAM and 64 or 128GB of internal storage. Huawei’s new handset will run on Google’s Android 7.0 Nougat operating system, so there should be no problem with the device. The 1080p resolution ensures great image quality, the processor ensures the power, and so you get a great smartphone. Rumor had it that the Huawei Mate 9’s price will go as high as $1300. However, given the leaked specs and images this could be a fair price. Would you spend so much money on this handset? Or would you rather wait for other flagship smartphones, like the Samsung Galaxy S8 to make their appearance?